I'm not really into 'girly' books and I don't like to read chick-lit at all so I always approach books like this with caution. I'll be honest, the blurb does not sell this book at all. If you have any reservations over not liking this book, ignore them and give it a read. 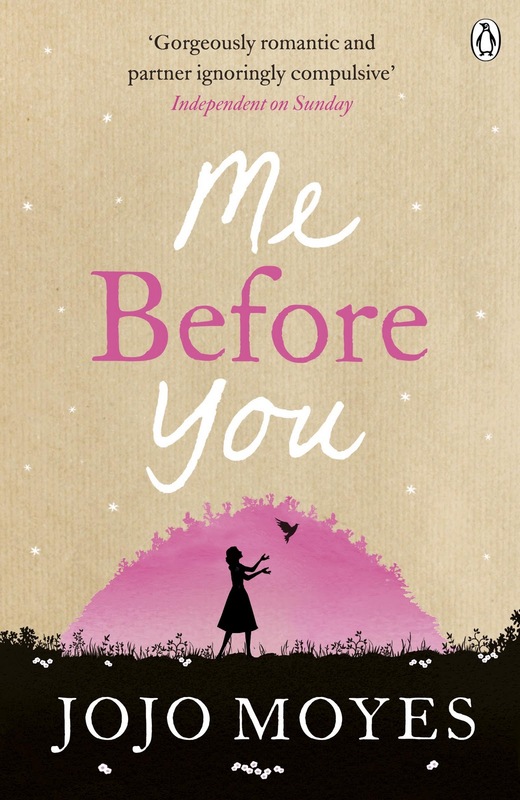 It's romantic, funny and left me in tears but it's a powerful book that I couldn't put down. 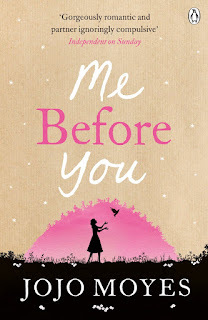 Lou Clarke has to find a new job when the cafe she works in closes down, she somehow finds herself working as a carer for quadriplegic, Will Traynor. Will is miserable, arrogant and angry, the complete opposite of Lou. Overtime the two of them become friends, Will gives Lou the hope she can go on to bigger and better things and Lou hopes she can lift the constant sadness Will feels. They both end up changing each others lives in amazing ways. Even though I knew from earlyish on how this book would end it didn't stop it from being any less powerful or emotional. It's a real page turner that I struggled to put down each night. I don't want to say too much and give it away for anyone who hasn't read this but I defy you not to cry at the end. The film adaptation of this is set to be released next year so I'd definitely read the book first.